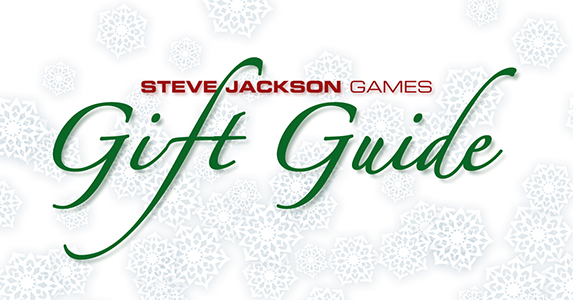 Daily Illuminator: Give Big With The SJ Games Holiday Gift Guides! December 18, 2017: Give Big With The SJ Games Holiday Gift Guides! It's officially the last shopping week before Christmas. Why wade through walls of terrible gifts at department stores when you can find the perfect one at your friendly local game store? Avoid the pushy salespeople spraying perfume on you, or kids mistreating a poor mall Santa. Instead, take a look at our new gift guides, and get your friends and family something they really want. 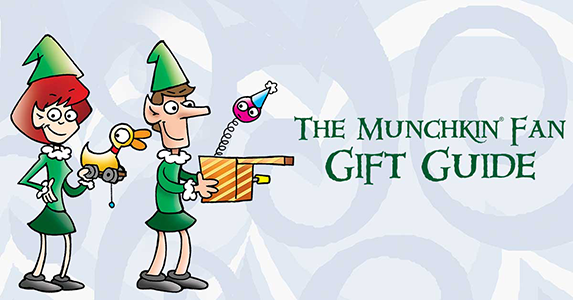 Our Munchkin Fan Gift Guide highlights the newest and coolest loot that fans of the game would backstab a friend to get. The new Munchkin Gift Pack comes loaded with three Munchkin games, wrapped and ready for gifting, plus some new promos! For a fan of the classics, Munchkin Shakespeare Deluxe takes the familiar works of The Bard and our classic Munchkin style, and mashes them up into one of the funniest sets ever. You could even pre-order the Munchkin Collectible Card Game, our big release of early 2018. You won't get it in time for Christmas, but you can give the holiday card instead, to let your target know they're getting something really special. The SJ Games Gift Guide is full of our non-Munchkin goods, of which there were many in 2017. Our classic Zombie Dice got an upgrade with Zombie Dice Horde Edition, complete with both expansions and a new dice bag! Introduce your budding gamer to wargames with Ogre Sixth Edition, or give an old-school Ogre fan some new toys for their game with Ogre Miniatures Set 1! Stuff everyone's stocking with compact hits like Simon's Cat Card Game, Cthulhu Dice, and Batman: The Animated Series Dice Game! So cut through the clutter and let these lists guide you to the perfect gifts this holiday season. The gamers in your life will thank you!